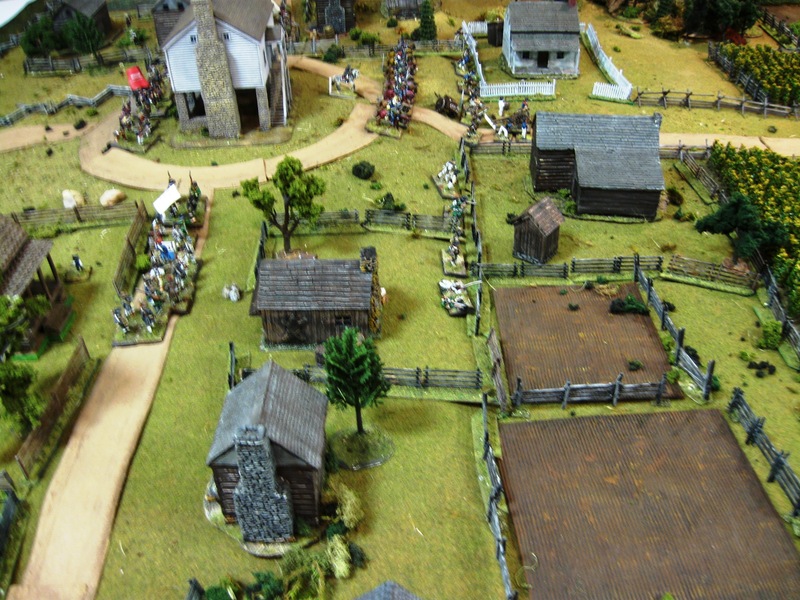 Here are a series of photos taken in the early afternoon of the first day of the annual HMGS Fall-In miniature wargaming convention in Lancaster, Pennsylvania. Attendance seemed a bit lower than usual, but the enthusiasm level was very high in the gaming venues. There were several high quality games being presented from all sorts of military periods. This year’s theme is Cavalry: From Horse to Helo’. Games represented medieval cavalry, Civil War, Napoleonics, Gnome Warfare, VietNam and AirCav, Custer and Little Big Horn, etc. Click each photo to enlarge it for better viewing. 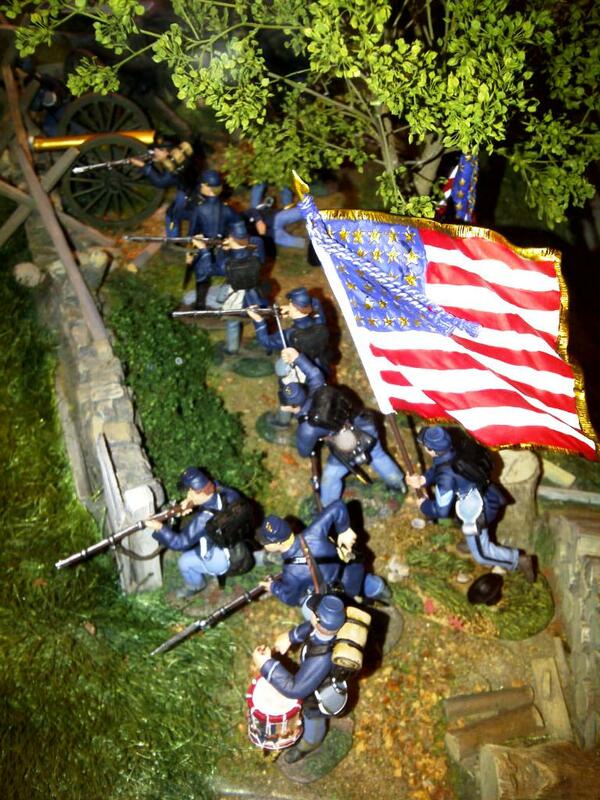 Civil War wargames announced for Fall-In 2011 gaming convention in Lancaster, Pa.
Scott Mingus will be one of the gamemasters at this year’s annual Fall-In wargaming convention at the Lancaster Host Resort & Conference Center in Lancaster, Pennsylvania. 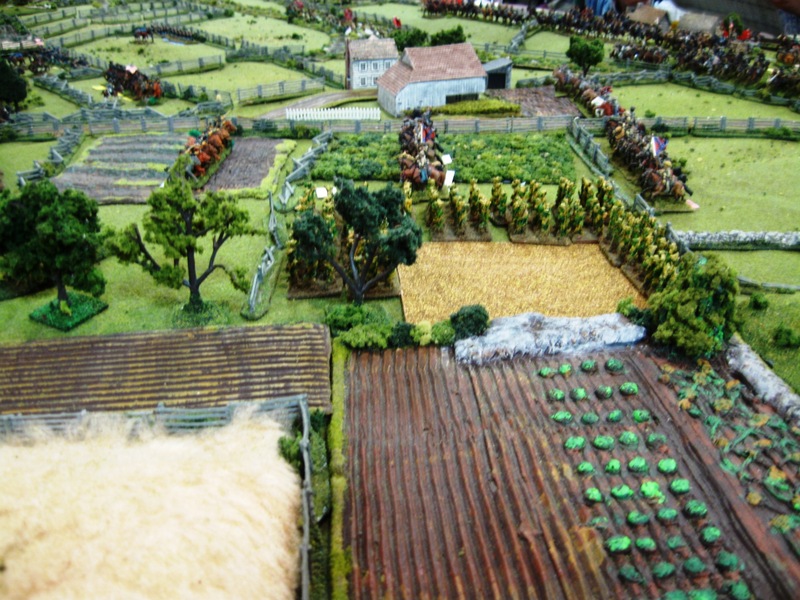 Shown above is a scene from one of his award-winning tabletop layouts. 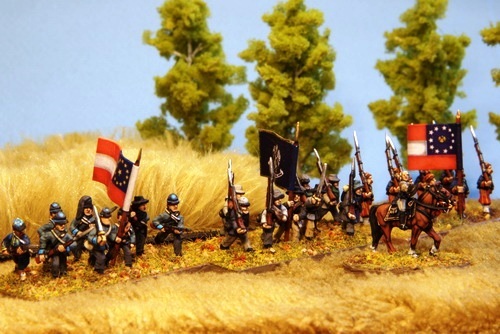 Here is the list of Civil War miniature wargames to be played this year. 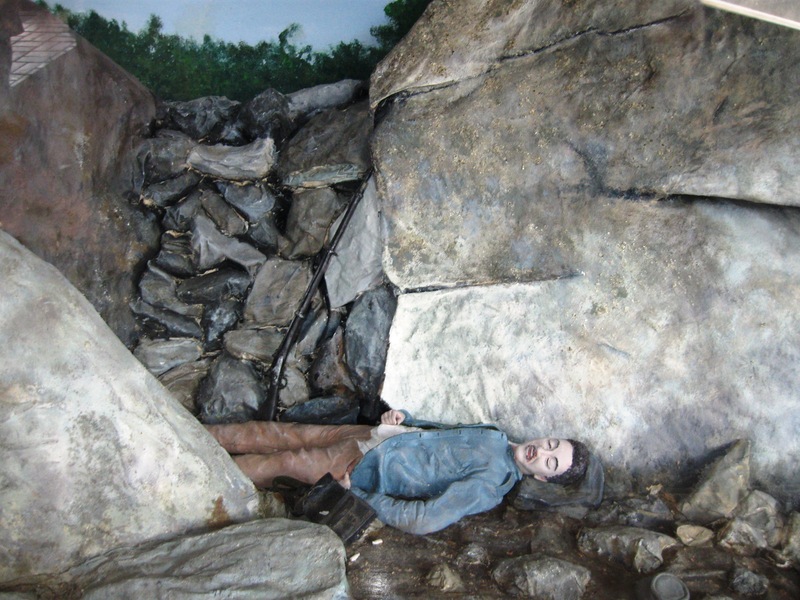 Diorama of a dead Confederate sharpshooter in his rock nest at Devil’s Den during the Battle of Gettysburg. 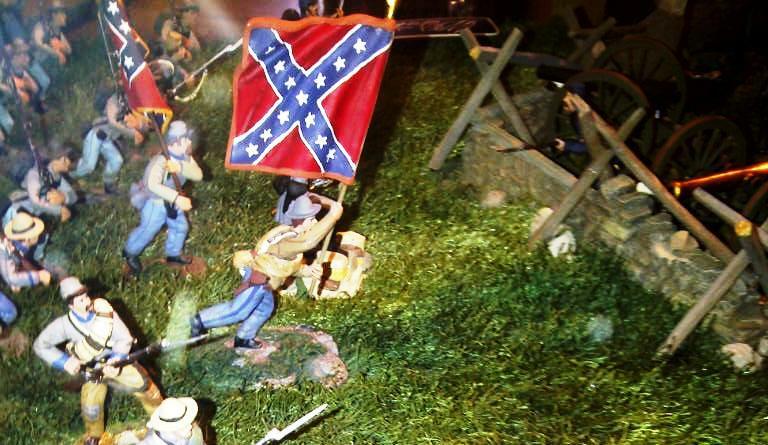 This Civil War diorama is at the Gettysburg Diorama Center (formerly Patriot Point) on Steinwehr Avenue. 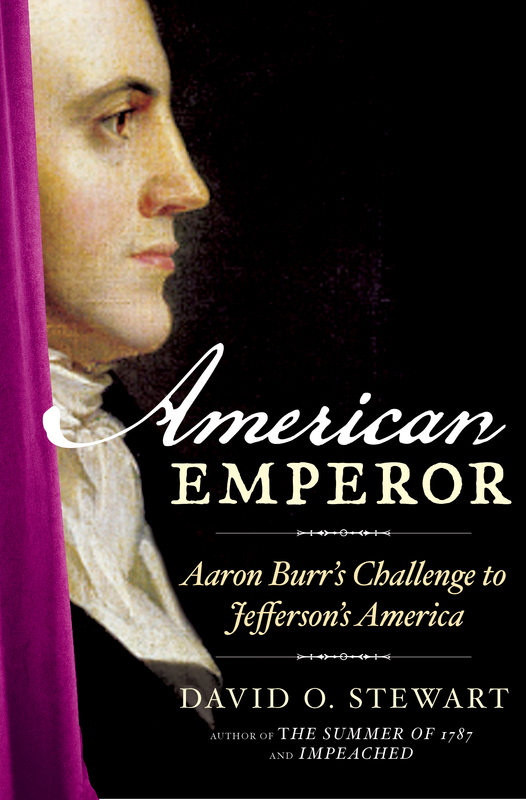 Long-time Johnny Reb Gaming Society member Robert Sweeney has patiently indexed every issue of the hard copy Charge! quarterly newsletter from #1 to #30. 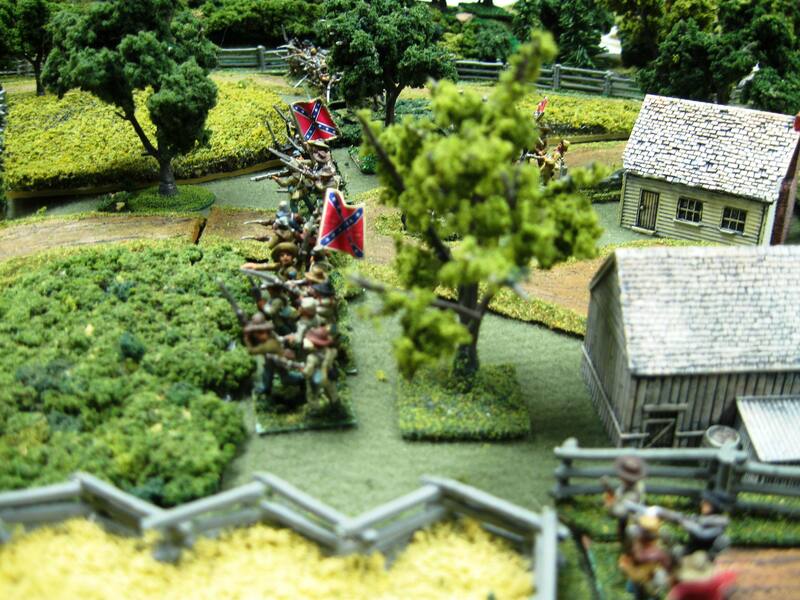 More 10mm ACW from Pawel!